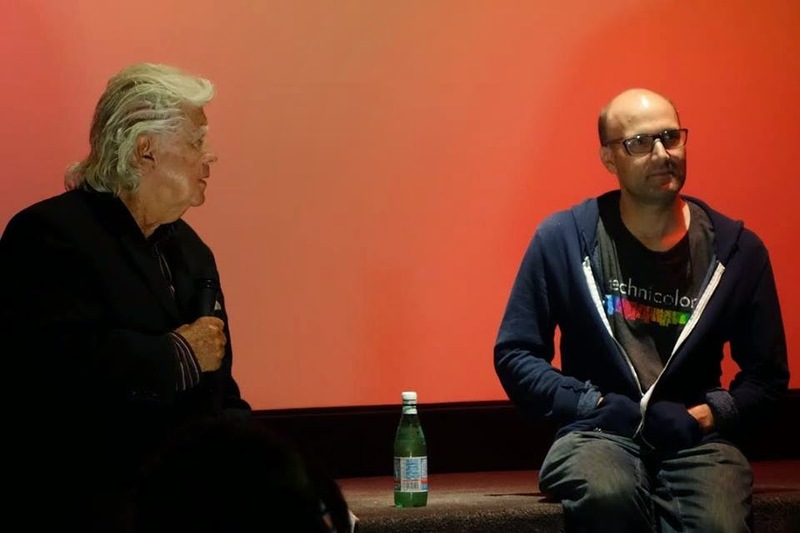 In May, The New Bev became part of my personal and professional history when the first Dammaged Goods live event took place over three nights. After a few unanswered e-mails, I walked into the theater and met Michael Torgan, the manager/operator/programmer/ticket taker/concessions guy extraordinaire. After a few minutes of discussing what I wanted to do, Michael agreed to host the screenings versus me having to rent the venue as I had writer/director Sheldon Lettich ready to attend. Of course, the nights of Double Impact and Bloodsport went off spectacularly and JCVD co-stars in Lionheart Harrison Page and Brian Thompson even swung by with Sheldon to support. Michael was absolutely terrific in getting everything set up, the prints of both films looked great and he seemed happy with the turnouts even though I felt bad we didn't do nearly as well as the sold out Mean Girls anniversary before us. I had no idea that it was the beginning of the end of an era. Over the last 72 hours, rumors, interviews and articles have circulated describing what exactly is happening to the Los Angeles fixture. After 7 years, it seems that hands off owner Quentin Tarantino wants to get more involved with the theater and turn it into the last bastion for film in the city as well as the world. You see, movie prints cost a lot of money, like thousands of dollars each. They're shipped across the country in several heavy containers and you need one for every theater showing your movie. With the rise of digital filmmaking and projecting, movie houses can now simply download a feature or DCP (Digital Cinema Package) which is the equivalent to a 35mm print that will essentially last forever. A few years ago, studios began offering theaters a rebate of sorts to upgrade to digital projection to help offset the cost. Recently, studios have all but abandoned striking film prints except to appease a chosen few like Tarantino, Steven Spielberg and Christopher Nolan. The New Bev was outfitted with a digital projector not long ago and is believed to be part of Tarantino's reasons for taking over. Why? Because Tarantino is a film nut and collects prints. The idea for the flick Grindhouse came from Robert Rodriguez wanting audiences to be able to experience a night at Tarantino's house where he would program double and triple bills complete with related trailers, shorts and other oddities. Now, the director is looking to share his collection with the world and keep 35mm alive. 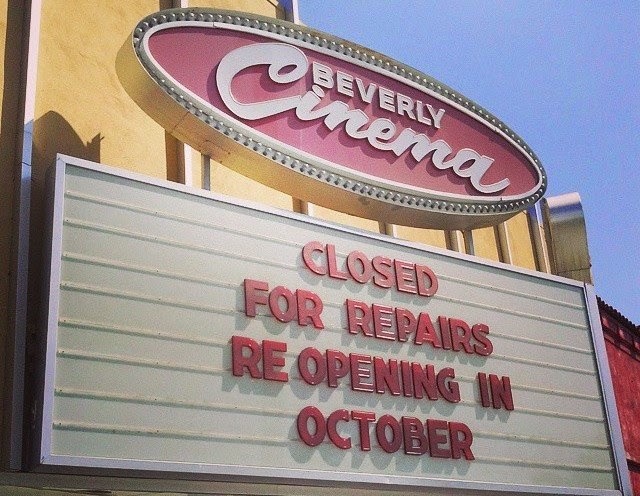 Tarantino has stated he'll be curating the first several months of programming at the new New Bev when it reopens in October. Torgan's involvement is still being worked out while current staff are said to be getting promoted. One of them is kind of a public face for the joint and produced a documentary about the plight of film but their attitude rubs me the wrong way and the Q&A's I've seen them host have not been among the best. Whatever happens, I hope the New Bev continues to showcase their vast array of fare and that Michael remains involved, takes a well deserved break or moves on to his next great adventure. Without him and the New Bev, I wouldn't be working on live event number 4 or met Dolph Lundgren, Robert Patrick, Sheldon Lettich and the throngs of awesome, 80's and 90's action movie loving fans out there.